Hey there I really hope Wolfire doesn't take offense to this, but we were greatly inspired by Desperate Gods. We wanted to take the same basic premise and expand it to work for any tabletop game. We currently have 15 classic games; from Chess to Chinese Checkers and Poker to Dominoes. 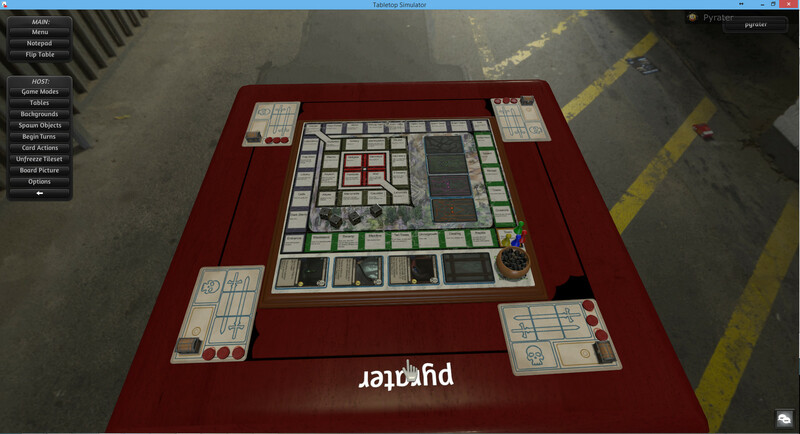 You can even customize it to create your own games by importing an image onto the board and spawning what you need. Thanks to our Kickstarter we are even going to add the ability to import your own assets into the game. We’d appreciate any support! Thanks for checking us out! "Desperate Gods SHOULD have done this already. I'm glad someone had the impetus to make it happen. Great job guys!" Thanks, I'm suprised that it hasn't been done yet, Wolfire had a great idea! We also now support Cryptocurrency! This is an awesome idea, I backed it a few weeks ago and I'm looking forward to getting my hands on the copies for me and my friends! Really liked DG and the idea of a virtual fully physical board game, it's great to see someone creating this, making it look so good and with all the right features! I'd have to play it first to give proper feedback, but the limitations that I can see are if we can't create some special things that are sometimes found in board games, like spinners, sliders and so on. But yeah, proper feedback will come when I get my hands on it. Our Kickstarter has blown up, because our game ended up on the Reddit front page twice yesterday. We are now over 1,000% funded and there is 40 hours left! Super excited thanks for all the support! Congratulations on the very successful kickstarter! I very much look forward to playing the released game. Glad to see all those stretch goals were met. Good work so far and good luck finishing the game and with the game's release. Just saw this on Steam, and thought it looked familiar. Glad to see someone took the idea and ran with it! I think it has a good potential! Good luck with the release! Thank you very much if you guys have an questions feel free to ask! 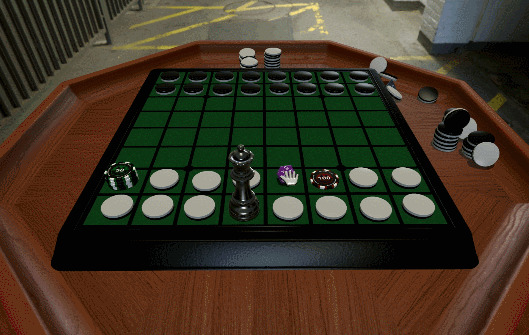 Tabletop Simulator is now in steam! Also question: would you add Desperate Gods in the game, if Wolfire would allow it? I think including it as a default game mode would be a nice nod, but if they don't get permission or simply don't want to i'd still like to see someone mod it into the game. Dammit, there goes my idea for a debut in gamemaking.